Pyramid by Brainium, is the classic Pyramid Solitaire card game, crafted with the passion for creating beautiful design, quality, and fun that people have come to expect from Brainium. In this classic card game, 28 cards are laid out in the shape of a pyramid. The object of the game is to remove pairs of cards that add up to the highest value card which is 13. Kings have a value of 13 (and don’t require pairing), Queens are 12, and Jacks are 11. Once the pyramid is cleared, you have the optional objective of pairing the remaining cards for additional points. Pyramid Solitaire by Brainium is an easy game to play, but a difficult one to master. You can play the game at your own pace, without the pressure of a timer. Optional & comprehensive hints and instructions make Pyramid easy to pickup & play for players of all skill levels. If you’re competitive, you can challenge yourself and keep track of your progress with our detailed in-game statistics. 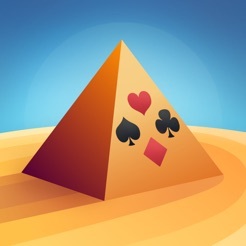 Pyramid Solitaire by Brainium is a free card game. We believe you’ll find our game to be the best Pyramid Solitaire game you’ve ever experienced. 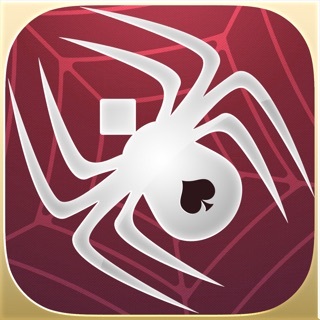 Brainium is the maker of the most beloved Solitaire games on the App Store and if you love card games, it’s likely that you’ve played our Classic Solitaire, Spider Solitaire, and FreeCell games. We'd like to thank all of our players for being so awesome. Here's another update for you! This developer makes really nice apps. 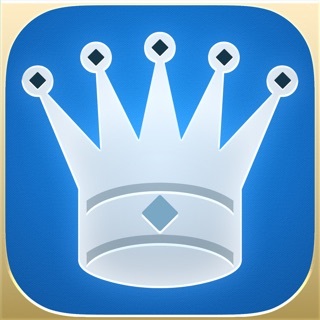 If you like the Pyramid Solitaire games then this is a must have. I bought the $4.99 to remove ads as so worth it. My Daughter Loves this game! My daughter has been working on number bonds, we found this game today and it is an excellent reinforcer! She is having fun and learning! Mom and daughter happy! This is fun, but not addictive. It is too automatic. If you tap on the card on the right, it automatically pairs it with a card on the pyramid. Instead in order to pair, tap on the card on the pyramid, that attaches to either the right or left card. This puts more thoughts into play.